PayrollPanda — How to add a timesheet to PayrollPanda? Help Center Home App How to add a timesheet to PayrollPanda? 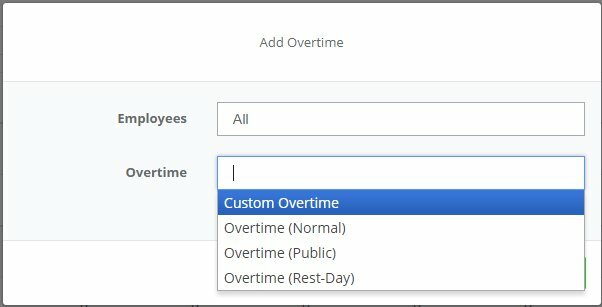 How to add a timesheet to PayrollPanda? You can add your monthly timesheet to PayrollPanda for automatic overtime and hourly wage calculations. Under the tab Timesheet you find a list of all your employees sorted on a weekly basis. You can either upload our timesheet template or manually key-in the hours. You can use our template to upload your employees timesheets to the app. You download the template under Timesheet > Upload Timesheets > Download Template. The template contains all the overtime payroll items, including our pre-set Overtime Payroll Items or the Custom Payroll Items you've created yourself. In the template you can key-in the total normal hours worked (for hourly wage employees) and/or overtime hours for this month. Once completed you can proceed to upload the timesheet under Select File. The hours will be added to the totals column, upon saving they will be used for this month's payroll calculation. In case you want to make edits, you have to edit the timesheet template and re-upload it. To manually key-in the hours you have to add the relevant overtime payroll items. To add overtime payroll items click on the button +Add Overtime in the bottom left corner. Here you select the overtime payroll items you want to add and for which employees. Once added you can key in the overtime hours. After saving, the hours will be included in your payroll run for this month. Prior to running the payroll you can always come back to update the hours. If employees are on an hourly wage, the hours keyed in here will be used to compute their monthly salary.